As the latest DROID RAZR MAXX advertisement tells us, battery life is important. We've seen some pretty crazy methods and some pretty smart cases to improve battery life on your smartphone, but ultimately it really comes down to three things: your display, your radios and your processor. Each iteration of new processors aim to be more efficient and therefore power-friendly, but chip makers may be taking a new approach. We recently saw NVIDIA's 4-plus-1 core architecture on the HTC One X, with the +1 being a power saving core, and ARM is taking a similar approach by developing a dual core solution featuring one low-power A7 core and another high performance A15. This way the phone can choose which core to use, running off the A7 for most of your routine uses such as email, text messaging and basic apps. When you're playing a graphically rich game or streaming HD video your phone can automatically switch to the A15 for more power. 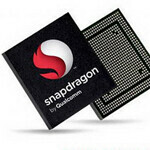 Qualcomm may have the most interesting solution however. Their Conisa project actually tracks user habits to learn things such as Wi-Fi availability, when you are most likely to use your phone and when you're sleeping. Based on this information the phone can learn things like when it should connect, when to retrieve data and when to go to sleep itself. For those worried about your phone "spying" on you, all the data gathered is stored locally on your device. Check out Qualcomm's video below, and if this new adaptive technology works as promised it could bring a whole new meaning to the term smartphone! Not sure how this is any different than toggling wifi or pressing the power button. Besides, my life isn't clockwork. There are different classes i go to, I work different work shifts sometimes, sometimes I don't use my phone for a day, other times I use it at 3 in the morning. Not sure anybody's life runs like clockwork. Anybody? We've seen some pretty crazy methods and some pretty smart cases to improve battery life on your smartphone, but ultimately it really comes down to three things: your display, your radios and your processor. Hmmm how about your battery. Some say a battery has a large effect on battery life. But they don't know what there talking about obviously. The droid razr maxx's great battery life is ofcourse not due to its 3000 mah battery its the radio that does it.